Do you find yourself in the dentist’s chair more often than you’d like - even those of us with a pain-free mouth and a bright smile may not be brushing our teeth in the optimal way. Here are some of the mistakes many of us make—often with the best of intentions—while brushing our teeth and how to correct them. During the morning rush, your quest to get out the door as soon as possible (or your race to hit the pillow at night) may be short-changing your dental health. Take the time to brush your teeth properly and thoroughly—most dentists recommend 2 to 3 minutes of brushing each time you brush your teeth (most people brush their teeth only for 40 seconds). Rather than setting a timer, a fun way to keep track of the time you take to brush is to play a short song on the radio (and some commercially available toothbrushes even have a speaker built in to play the song in your head as you brush!). 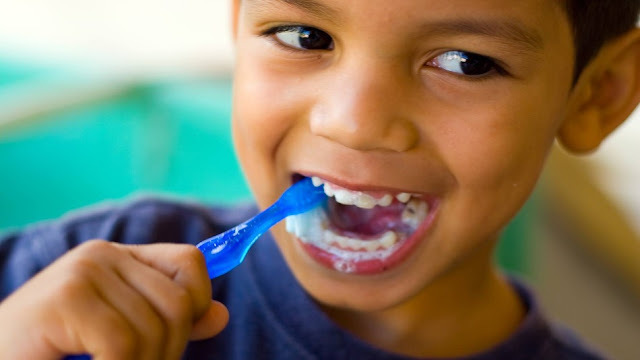 Although you want to be thorough and use sufficient pressure when brushing your teeth in order to effectively clean them, brushing too hard is a well-intentioned faux pas. Brushing your teeth too hard can injure gums and deplete tooth enamel, which lead to worsened oral health over time. A mouth full of little cuts from a too-rough brushing leaves itself open to harmful bacteria, which could actually lead to an oral infection and even an abscessed tooth. One thing that sometimes gets neglected in our busy lives is our brushing habits. We figure brushing once per day when we wake up is fine. However, bacteria can invade and take over our mouths within the span of a day, and many dentists suggest brushing at least two times per day—once when you wake up and again before bed—and ideally, after meals, as well. Frequent brushing can sweep away plaque and bacteria and keep your mouth fresh and clean round-the-clock. The same people who brush a bit too roughly may also fall prey to the fallacy of “harder bristles are better bristles”. The truth is, the same problems that afflict people who brush too hard can also plague those who brush with stiff bristles. Instead of getting firm-bristled toothbrushes, get soft bristles and use a moderate pressure while brushing. Bristles getting frayed? Do you find yourself using the same brush for long periods while the seasons change around you? Bust this bad habit and resolve to use a new brush every three to four months—the price of a good new brush just four times per year could be the key to saving you hundreds or even thousands in dental office bills! Stay away from harsh toothpastes that boast claims of whitening and brightening—some ingredients in whitening pastes or pastes labeled as “tartar control” can be extremely harsh. And although they may temporarily whiten your smile, they can erode the enamel on your teeth and cause sensitivity and even lead to decay if overused. You can give attention to your teeth, brushing them twice a day, but what about brushing your tongue? Our tongue is not smooth. And all the crevices are a good place for bacteria to hide in these areas, causing bad breath, reducing your dental health and even causing tooth damage. It is therefore important to physically brush you tongue to remove the bacteria. Cleaning your tongue is very easy. Every time you brush your teeth, give attention to your tongue by brushing it back and forth and side to side, and at the end rinse your mouth with water.